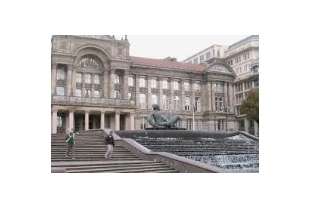 Unite has accused Labour-led Birmingham city council of using Tory anti-trade union laws to attack its own workforce in a shameful defence of ‘secret payments’. It follows a decision by the authority’s cabinet yesterday to seek an injunction to try and halt ongoing industrial action short of a strike involving around 300 Unite members working for the council’s refuse service. Unite warned that its members would escalate their industrial action to full strike action unless the council reversed its decision. The refuse workers are involved in a blacklisting dispute over payments made to refuse workers who did not support 2017’s long running bin dispute. Unite assistant general secretary Howard Beckett said: “We had been led to believe that we would be heading to the conciliation service Acas today to discuss an offer from the council to resolve the dispute. “Instead it appears that this council wants to stand by the outrageous and immoral payments made to those who did not take industrial action in 2017 at the expense of those who took action to protect terms and conditions. “Rather than recognising that the majority of the workforce has been blacklisted by the payments made and the need to give parity to its workforce, we have a Labour council doubling down in defending secret payments and shamefully looking to manipulate Conservative anti-trade union laws to punish its own workforce. “We would urge the council to rethink and start meaningfully engaging with Unite over an offer to resolve this dispute otherwise we will be forced to escalate our industrial action to strike action.